No Forgotten Book from me this Friday. Instead, as a tribute to P.D.James, I'd like to focus on one of her not to be forgotten books, and also on her versatility as a writer. The book in question is Devices and Desires,and it first appeared in 1989. This was just after I started reviewing crime fiction, and I remember rhapsodising over the book in a little magazine called The Criminologist, which usually focused on factual stuff about crime, but took me on for a number of years as its solitary reviewer of fiction. Devices and Desires remains my favourite James. much as I admire books like Death of an Expert Witness, Innocent Blood, A Taste for Death and...well, many others. The plot is strong, but what has always stuck in my mind is the wonderfully atmospheric setting. Particular places inspired her fiction time and again, and here the headland on the Norfolk coast, with its nuclear power station, its ruined abbey, and its mysterious serial killer, is wonderfully well evoked. I treasure my signed copy. Incidentally, the book I'm currently writing is not in any sense intended as a homage to James, and is very different from her work, but it too concerns a remote coastal setting, where dark deeds take place in the shadow of a nuclear power station...so perhaps there was just a smidgeon of subconscious influence at work. One point that often is, but should never be, forgotten about James is that she was extremely versatile as a writer.She took great pains over her work, and that is why she was far from prolific in terms of the number of books that she wrote. But consider her range. Adam Dalgliesh is, of course, her most famous character, but she also created one of the best female private eyes - Cordelia Gray. An Unsuitable Job for a Woman is a brilliant title, and a good book. And what about her final novel? Death Comes to Pemeberley saw her moving into Jane Austen territory, and the result was another bestseller adapted for television. She was fascinated by true crime, and co-wrote an excellent study of the Ratcliffe Highway murders, as well as investigating afresh the classic case of Julia Wallace. She wrote a book about crime fiction which is not, in my view, as in-depth as most of her work, but nevertheless highly readable. And when she ventured into science fiction, Children of Men was so successful that it was filmed. Her short stories were few and far between, but they are splendidly fashioned and well worth seeking out. All this combines to form a remarkable span of literary achievements. One more reason to salute this remarkable writer. The sad news of P.D. James' death at the age of 94 has prompted heartfelt tributes from her many friends and admirers, including fellow practitioners such as her great friend Ruth Rendell, Val McDermid and Mark Billingham. We have lost one of the great detective novelists; there's no doubt that when future historians of the genre look back on twentieth century crime fiction, they will rank P.D. James highly. I'll say something more about her detective fiction soon, but for now I will just share a few personal thoughts about her. I began reading her work in my teens, and soon became hooked. My first encounter with her in person came in the mid-80s, when she was on a publicity tour at the time of publication of the excellent A Taste for Death. I may be a writer now, but I've always been (and always will be) a fan, and when she came to my home town in Cheshire I was delighted to acquire a signed copy of the book. A few years later, when I'd achieved publication, I was asked to co-edit an anthology produced by the East Anglian chapter of the Crime Writers' Association, as I'd previously put together an anthology for the Northern chapter. The result was a book called Anglian Blood, and it contained a mix of fact and fiction. Phyllis was then a member of the CWA (this was before the controversy that sadly led to her resignation) and she was good enough to contribute a short piece called "Is There Arsenic Still for Tea?" A great thrill - my only regret was the book finished up with perhaps the most horrific cover artwork I've ever seen. I dread to think what she thought of it, and took care not to ask! On the memorable night that I became a member of the Detection Club, I had the joyful experience of sitting with Phyllis, as well as two other writers I'd long admired, Jessica Mann and Simon Brett. More daunting, but also pleasurable in a different way, was the experience of delivering a talk about Golden Age fiction at St Hilda's College, with Phyllis sitting in the front row. When Simon asked me to become the Detection Club's first archivist, Phyllis proved to be very supportive. She had long taken an interest in the genre's history - she was a passionate admirer of Dorothy L. Sayers, and author of Talking about Detective Fiction - and one day she rang me up out of the blue to tell me about something she'd discovered about the Club's early days. What's more, she promptly sent the material to me. A small thing, perhaps, but indicative of the kindness of which many who knew her better than I did have spoken. Last year, I had the great pleasure of sitting next to her at a dinner, when we discussed The Golden Age of Murder, her researches into the Wallace case (subsequently published in the Sunday Times) and her true crime book, The Maul and the Pear-Tree, co-written with a former colleague, T.A. Critchley. That night, she and I and Sheila Keating journeyed home from the dinner in a taxi together, and Phyllis regaled us with an account of being awarded the freedom of Lyons. She was witty and convivial, interesting and interested. You'd never have guessed she was 93. A few days ago, Sheila very kindly sent her the manuscript of The Golden Age of Murder, which has just gone through a final copy edit, but the news came back that Phyllis was too frail to read a full-length book. Of course, I like to think that she would have enjoyed it, but I'll never know. What I do know is that she was not only a fine writer, but more importantly a warm and wise woman who showed a great deal of generosity to younger writers, of whom I am just one. Hers, truly, was a life well lived. Fight Club is one of those films that didn't do well at the box office when it was first released fifteen years ago, but it later gained an extensive following as its qualities came to be appreciated. Now, it's well established as a cult movie that is regarded in some quarters as a masterpiece. I'd never got round to watching it until recently, but the director, David Fincher, is someone whose work I've found myself admiring more than once - and I haven't even seen Gone Girl yet. Edward Norton plays an unnamed young man who suffers from insomnia and works in a stultifying office environment. Failing to get medical help, he attaches himself to various support groups, pretending, amongst other things, to be a cancer sufferer. He encounters the weird but attractive Marla (Helena Bonham Carter) who is another impostor. He tries to shake her off, but she keeps coming back into his life. Another encounter, with the dashing Tyler Durden (Brad Pitt) results in the formation of a "fight club". Men fight each other in secret in order (amongst others to channel their despair about their lives). Soon "fight clubs" are springing up all over the US, and a pattern of destructivenss starts to take shape. There is a memorable plot twist in this film, and although there are spoilers all over the internet, I don't intend to add to them, so my comments about the film have to be guarded. As with Fincher's other movies, I thought there was much to admire here, especially in the acting, the dazzling photography, and a number of witty lines of dialogue. But I did think that the film went on too long, and for me, that slightly reduced its impact. The fight scenes also left me cold, simply because I've always detested the idea of people fighting. Possibly the length of the film was why it was not an instant hit. I am sure, however, that it is one of those films that will repay a second viewing. The plot twist in Fight Club is one of the best I can remember in a movie, even though I like some of Fincher's other films better. Perhaps my all-time favourite twist is that in The Usual Suspects, and Body Heat is another candidate. Here, Fincher cleverly integrates the twist into the theme of the film. The art of the plot twist fascinates me, but again, it's a subject that is hard to discuss without spoilers. All I can say is that, although it took me far too long to get round to watching Fight Club, I'm glad I did. "It’s good to see the Patrick Quentin/Q. Patrick/Jonathan Stagge team receiving more attention. On the whole, it seems to be the earlier, more Golden Age books that are being read and reviewed, but for my money it’s the later Patrick Quentins - the ones written solely by Hugh Wheeler - that are really something special. The earlier books tend to be more fanciful, less plausible; the later ones marry the most wonderfully skilful plotting with a greater realism. The shift from the earlier to the later style is clearly shown in one of the last of the Hugh Wheeler - Richard Webb collaborations, Jonathan Stagge’s The Three Fears (1949). The feud which runs throughout the book between the two leading actresses, Daphne Winters and Lucy Milliken, is described with a good deal of sophisticated wit and almost amounts to a comedy of manners (the theme of the diva would be taken up again in Wheeler’s Suspicious Circumstances), but the idea that someone as tough as the ‘Divine Daphne’ would be haunted by ‘three fears’ - of death by poison, claustrophobia and fire - just doesn’t make sense, it belongs to an altogether more quirky, melodramatic way of writing, as does the casual, rather cynical handling of the murder of one of Daphne’s acolytes. In other words, the book suffers by falling between two stools. Patrick Quentin’s The Follower from the following year (1950) is a much better book and paves the way for Hugh Wheeler’s solo efforts, written after Richard Webb had dropped out of the partnership. Actually, it wouldn’t surprise me if The Follower wasn’t a Wheeler-only book: we see here the same ability to reveal character through dialogue and the same interest in the protagonist’s emotional life that we find in the later volumes, almost all of which have in common the fact that there is an emotional problem as well as a murder mystery to be solved. Where it differs from Fatal Woman, The Man with Two Wives, and the rest of them, is that it is a thriller rather than a whodunit. The set-up is especially good. Mark Liddon, a young, just-married engineer, returns to New York from a spell of work in Venezuela in order to be back with his wife Ellie in time for Christmas. But ditzy, poor-little-rich-girl Ellie isn’t there. Instead, Mark finds the dead body of one of her former admirers, shot through the heart. He doesn’t know how it happened but his one inclination is to find and protect his wife, so he hides the body and manages, by a clever piece of detective work, to get a lead as to where she might have gone. The action now shifts to Mexico - as with two slightly earlier Quentins, Puzzle for Pilgrims and Run to Death. Mark learns that his wife has bought a ticket for a bullfight - yet when he gets to the stadium, the woman who shows up using his wife’s name isn’t Ellie at all but a complete stranger. Having just read Helen McCloy’s The Impostor, I can report that the imposture theme is handled in a much more interesting, suspenseful way by Quentin here. Mark does find Ellie, only to lose her again…until the denouement, when everything is finally explained. It’s quite a long explanation, but Quentin sustains our interest by leaving a key element of the emotional part of the problem unresolved until the penultimate page. Perhaps the showdown scene lacks real menace and it’s arguable that too much information is held back until the end, but the gripping narrative, touches of humour, occasional splashes of local colour, and elements of romance and mystery combine to make The Follower a fine thriller with a satisfying conclusion." Detective fiction began with a "locked room" murder mystery. Most people agree, I think, that Edgar Allan Poe's "The Murders in the Rue Morgue" marked the start of the genre as we know it, though some make claims for earlier stories - and even these include a story by the estimable Sheridan Le Fanu that has a "locked room" element. Ever since, detective fans have enjoyed locked room and impossible crime mysteries. Yes, they are often outlandish and sometimes highly artificial, but when done well, they supply very good entertainment. Look at the success on recent years of TV series like Jonathan Creek which often play games that the likes of John Dickson Carr, supreme master of the locked room mystery, would have relished. All this is by way of preamble to news that I've just received my contributor copy of The Black Lizard Big Book of Locked-Room Mysteries, edited by the legendary Otto Penzler, and sub-titled "The most complete collection of impossible-crime stories ever assembled." There are no fewer than 68 stories here, starting with Poe's story, and suffice to say that I find myself in very illustrious company - fellow contributors incldue Chesterton, Carr, Lord Dunsany, Conan Doye, Wilkie Collins, Dashiell Hammett, Agatha Christie, Erle Stanley Gardner, Margery Allingham, Cornell Woolrich (writing as William Irish), Dorothy L. Sayers and even P.G. Wodehouse. Otto Penzler contributes a snappy intro and biographical notes about all the contributors, and divides the book into nine sections. The final section has just one story in it - "Some stories simply can't be categorised", he says - and this is my "Waiting for Godstow". Otto has been quoted recently saying nice things about it; very gratifying. I wrote the story originally for another impossible crime anthology, edited by Mike Ashley, more than a decade ago, and reader reaction to it has delighted me over the years. It's a tricky story, an example of the game-playing that, for me, works more effectively in the short form than in a novel. Another example is "Acknowledgments", which I mentioned the other day; the new ebook also includes my very first published short story, another game-playing piece called "Are You Sitting Comfortably?" I've written three short stories in all that fall into the "impossible crime" sub-genre, and although I've no plans to write a locked room novel, it's likely that I'll write another short story of this type before long. Meanwhile, if you're a locked room fan, I can strongly recommend a wonderful and definitive book on the topic, Locked Room Murders by Robert Adey. Bob is a great expert, and when I had the pleasure of visiting his home the summer before last, I found his massive collection of rare books absolutely stunning. His magnum opus is hard to find either the first or second edition, but if you manage to track down a copy, I'm sure you'll love it as much as I do. Great fun, just like locked room stories themselves. Remember Me, which began on BBC 1 this evening, is a three part story of the supernatural written by Gwyneth Hughes and starring Michael Palin as Tom Parfitt and Jodie Comer as a young care worker called Hannah. The first episode seemed to me to strike a successful balance, introducing a number of mostly engaging characters and an intriguing set-up, without making it too clear what was actually going on. Getting that balance right in a supernatural story that takes the form of a serial is easier said than done. The Intruders overdid the complications in episode one to such an extent that I haven't summoned up the enthusiasm to watch any more of it. The Secret of Crickley Hall was better, but not unduly subtle. Part of the interest here lay in the casting of Palin, an agreeable chap playing an equivocal and rather sinister old man who fakes a fall at home in order to move into a care home. Jodie Comer was also very good as the young carer who took a shine to him - even after a woman falls to her death after entering Tom's room in the care home. A firmly realised setting is, I think, a big asset in a ghost story, and Hughes did very well to ground the action in a gritty Yorkshire setting. The contrast with the surreal goings-on in the storyline was thus made all the more effective. The care home is a converted mill - of the kind in which my grandmother, a Yorkshirewoman herself, worked many, many years ago - and there are numerous references to Scarborough, one of my favourite resorts. And the folk tune "Scarborough Fair" plays a spooky part in the mystery, as does a mysterious photograph of a young boy..
A credible background, and characters we can identify with, help viewers (or readers) to overcome their reservations about any potential silliness in a ghost story. Hughes managed to keep me interested from start to finish, and even to distract me from revising my draft novel. Well, any excuse will do, I suppose, but I don't mean to damn Remember Me with faint praise. It was very watchable, and I plan to watch next week as well. Death of a Millionaire, by G.D.H. and Margaret Cole, was published almost ninety years ago, and is my Forgotten Book for today. Its appearance followed Douglas Cole's solo detective novel, which introduced Superintendent Henry Wilson, and it marked the beginning of a literary partnership that lasted for more than fifteen years between Douglas and his wife Margaret. They carved a niche for themselves in crime fiction history, and although their work has often been condemned for dullness, it is noteworthy that this particular book became a green Penguin paperback a quarter of a century after its first appearance, no mean feat. This may, in part, have been due to the authors' fame as socialist thinkers, but the book also received some laudatory reviews. It begins promisingly, with satiric description of posh Sugden's Hotel and high ranking politician Lord Ealing. He has some form of business connection with a mysterious millionaire called Hugh Radlett, who has checked into the hotel, but Radlett, and his equally mysterious secretary go missing, and all the evidence suggests that the secretary has killed his employer, and taken the body away in a trunk. But why? The book also ends rather well, with a neat plot twist, and further helpings of anti-establishment satire. On the final page, one character says, "Law and order and rights of property...are all bunkum", and Wilson is so disgusted by what happens after he solves the puzzle that he leaves Scotland Yard and sets up as a private detective. (This didn't last long; he soon returned to the fold.) Judged by the standards of the mid-1920s, all this was rather daring and unusual, and it's best to judge books by reference to the time when they were written, and what the author(s) was trying to do.. It's significant that this book was written a year before the General Strike. The Coles describe a dysfunctional society seemingly beyond repair. During the novel, a manuscript written by Radlett tells the story of how his father was a trade union activist who suffered through his beliefs, and post-Revolution Russia is presented with more sympathy than you might expect in a detective novel of this period. So there are pleasing elements to be found in this novel, especially for those interested in social history. Unfortunately, I found I had to struggle through some very tedious story-telling in order to unearth the good bits. I'm afraid that I was bored for some of the time, because to achieve that cunning plot twist, the Coles needed to construct a very elaborate sequence of events, which they proceeded to recount in a very long-winded fashion The style is sometimes arch, sometimes clumsy. As so often in their books, the cleverness of the basic idea simply was not matched by the way it was put to work. But one has to remember that neither of the authors was an experienced detective novelist when they wrote this They later proved they were capable of doing better, although like many of their contemporaries, if they had written half as many books, and lavished twice as much care over them, the results would have been more artistically satisfying..
A major highlight of my year came at Crimefest in May when I won the inaugural CWA Margery Allingham Prize for my short story "Acknowledgments". Among other lovely things, part of the prize was the commitment of Bloomsbury to publish the winning entry in ebook form, via their successful Bloomsbury Reader platform. Bloomsbury has - in less than thirty years- established a very impressive reputation, not least thanks to the Harry Potter series and a Man Booker Prize winner. So I'm honoured to announce that today is publication day of Acknowledgments, an ebook that includes not just the story, but rather more. It seemed to me that it would be desirable to offer readers some "added value", given that the story itself is short of necessity, because of the word limit in the competition rules. Luckily, Bloomsbury agreed. So the ebook includes two other stories of mine of which I'm fond, and which I felt would benefit from a fresh life. There is also an essay by me about Margery Allingham and her short stories, and a generous intro from Julia Jones, biographer of Allingham and closely involved with the Margery Allingham Society I had a lot of fun writing "Acknowledgments", and I hope it will entertain and amuse you if you read it.. I've quite often been shortlisted for prizes that were won by someone else, and my sympathies are at least as often with those on the shortlist as with the winners. All the more so this year, because my wife Helena was one of the runners-up. However, we still speak occasionally...and I'm thrilled to say that her story will be published in Ellery Queen's Mystery Magazine before long. This will be her first taste of publication as a fiction writer, but another one (a contribution to an anthology of stories edited by Ann Cleeves) is already looming. This leads me to my final point - competitions can be Very Good Things for writers, whether experienced or inexperienced. The CWA Margery Allngham prize will be awarded again next year, and more details for prospective entrants can be found here. The linking device between the stories is different from that in Dead of Night, and less powerful. In fact, it now seems rather odd. Each story is introduced by, of all people, Eamonn Andrews. Perhaps the film shoudl have been called This is Your Death. I'm afraid Eamoon doesn't add a lot of value; the film succeeds in spite of his presence, rather than thanks to it. The first of the three stories, "In the Picture", is the most memorable. It's a very macabre story written by Roderick Wilson, yet I've been unable to find out anything about Wilson; does anyone reading this blog know anything about him? The tale begins quite jauntily, with some rather intrusive background music, but soon settles into something different, and disturbing. It's worth watching the movie for this segment alone. "You Killed Elizabeth" is based on a story by Brett Halliday (real name David Dresser), who was at one time married to the admirable Helen McCloy. It's a short, competent whodunit, featuring John Gregson in his pre-George Gideon days. "Lord Mountdrago", based on a story by Somerset Maugham, stars Welles as a nasty Foreign Secretary who is haunted by his enemy, a Kinnock-esque politician played by the excellent Alan Badel, who also has key roles in the other two segments. The DVD also contains as a bonus an Irish ghost story which again features Welles. I was expecting something okay from this film, but found I was watching something truly enjoyable. Strongly recommended. The British Library's Crime Classics series is going from strength to strength, and I'm delighted to make one or two personal announcements about it today. First let me mention that the first half of next year will see the appearance of two anthologies of Golden Age fiction edited and introduced by me and forming part of the series. Resorting to Murder focuses on holiday mysteries, while Capital Crimes is a collection of stories set in and around London. I'm hoping these books will introduce a new generation of readers to some of the marvellous short stories published between the wars. Each anthology will include one or two rare stories that I suspect will be unfamiliar to all but the most dedicated specialists. Who would have thought that novels written by John Bude and J. Jefferson Farjeon would become bestsellers in the twenty-first century? Not me, to be honest. And yet this is the British Library's achievement. A few days ago, Farjeon's Mystery in White reached number 4 in the Waterstones fiction bestseller chart, having risen from number 6 the previous week (Donna Tartt's latest being one place higher) . In the space of two months, 20,000 plus copies have been sold, and I gather that about 95% of this figure is represented by the print edition, rather than ebooks, which in this day and age is very, very striking. Bear in mind that there is no living author around to promote their work on tours and so on. As for Bude, The Cornish Coast Murder has become the British Library's all-time bestselling book published under its own imprint - remarkable, if one thinks about that.. As of today, I gather it's sold upwards of 40,000 copies in all in about eight months. The British Library is now looking ahead, and giving careful thought as to how to sustain the remarkable popularity of the Crime Classics. 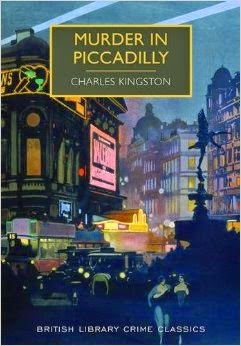 For some time, I've been in discussion with them about possible future titles, and I've been commissioned to write introductions to recently published titles such as Charles Kingston's Murder in Piccadilly and John G. Brandon's A Scream in Soho. The aim of the intros is to offer readers some "added value", and the Library's view is that it's desirable to avoid duplication, so I write different intros for each book, even if the author has appeared in the series before, concentrating on fresh aspects of the author's work. 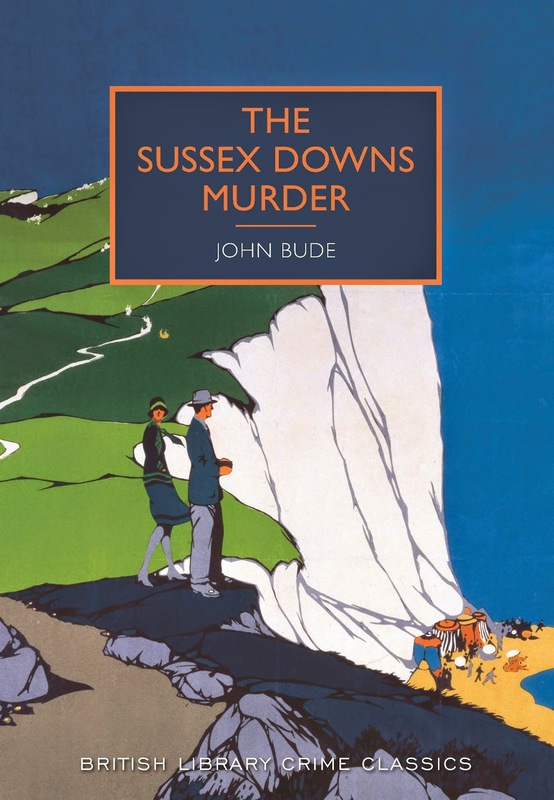 Other titles in the works include an excellent Bude book, The Sussex Downs Murder, and two particularly interesting novels The Hog's Back Mystery and Antidote to Venom, both by Freeman Wills Crofts. Five further books are expected to appear in 2015, including a third anthology which I'm working on at present. Various factors (including availability of the rights) govern the actual choices made, but having suggested those two Crofts books, I'm delighted that they are to be republished. I'm also thrilled to announce that the British Library has appointed me as Series Consultant to the Crime Classics series. It's a relationship which I'm really enjoying, and at long last, I no longer feel like a member of an endangered minority in my enthusiasm for these long-forgotten stories. Whilst I remain absolutely committed to my career as a contemporary novelist, I've been writing about Golden Age fiction for more than a quarter of a century (and reading it for much longer than that). I have never known a time when there was so much interest in the subject, not only in the UK, but much further afield, and this is also reflected in reaction to news of the forthcoming publication of The Golden Age of Murder (now available for pre-order on Amazon, by the way!) Long may it continue..
At present, I'm hard at work on the final stages of my latest Lake District Mystery, but a welcome digression on Saturday involved my annual pilgrimage to the national crime and detection book fair in Harrogate. Fog across the Pennines delayed my journey, but I thought two hours at the fair would still be plenty. It proved to be far from long enough. This may, however, have been a good thing in one sense. Book fairs as impressive as this one can seriously damage your financial health. As well as specialist crime fiction dealers (plus several who were selling children's books), I was delighted to bump into David Stuart Davies, the Sherlock Holmes expert, who was marketing a selection of his own books. David kindly wrote an introduction to The New Mysteries of Sherlock Holmes and is a good friend of Leslie Klinger, whose work on the Free Sherlock project we both agreed was truly admirable. One totally unexpected, and quite heartwarming, encounter was with a very pleasant teacher who had brought a group of Year 8 schoolgirls along. She told me that the class has been studying detective fiction - lucky things. That's educational progress for you! She'd had the very good idea of bringing the girls along to the fair, and they seemed to be having a fun time. In fact one had bought a copy of John Bude's The Lake District Murder, and one of the dealers had suggested she asked me to sign it. It would be nice to think that some of those girls will retain a fondness for detective fiction throughout their lives. The teacher was doing a really great job. Very enlightened. 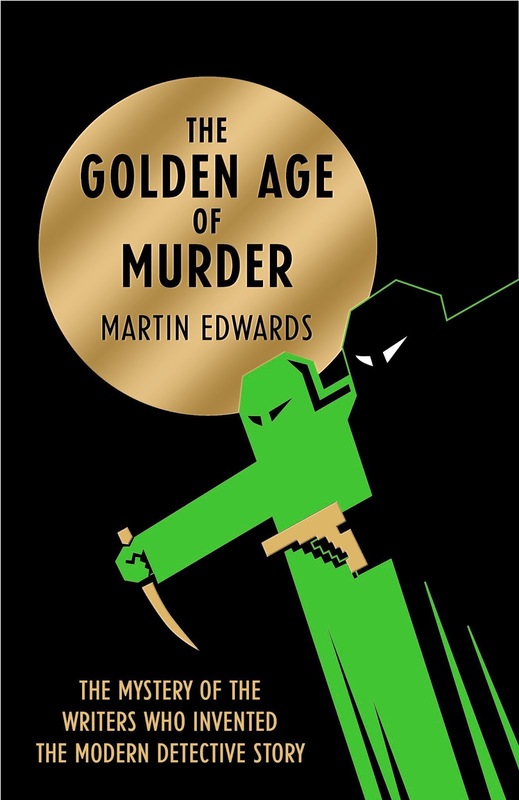 I enjoyed chatting to the specialist crime dealers, and admiring their stock (including a signed book in pristine dust jacket by Patricia Wentworth, for instance, and hard-to-find copies of classics by Henry Wade, John Rhode, and the Coles), as well as soliciting feedback on the proposed cover artwork for The Golden Age of Murder. One dealer told me that he'd brought along a large quantity of titles by E.C.R. Lorac, and nearly all of them had been snapped up by the end of the afternoon. Lorac's work is a good example of what one might call "late Golden Age" writing, and I have quite a few of her books, which originally I bought for my parents, both of whom were Lorac fans. Some other titles, though, are very hard to find; hence the demand for them on Saturday. I'm very much looking forward to the publication next spring of The Golden Age of Murder. This week, I completed work on the final edit of the manuscript, and I've been impressed with (and hugely grateful for) the care lavished on the book so far by Harper Collins. Their enthusiasm really is good for morale, and as all writers know, morale does matter. The cover artwork is, at the moment, still "work in progress", but with my editor's okay, I thought I'd share with you the latest version, as some readers may be interested in gaining an insight into the thought processes of a major publisher when working on such things.The jacket is envisaged as being in matt black,with the figures picked out in gloss varnish, and the gold areas foiled, to give the book a rather sumptuous feel and reflect the 'Golden' aspect of the 'Golden Age'. The hope is that it will not only look good, but stand out in the bookshops. I've warmed to John Rhode, author of today's Forgotten Book, Hendon's First Case, which originally appeared in 1935. When I first read Rhode, a long time ago, I found his work less than enthralling, and this reaction chimed in with a widespread consensus that Rhode's work was rather dull. Julian Symons thought so,and so did Harry Keating, along with other good judges. Dissenters who argued Rhode's merits were heavily outnumbered. However, Barry Pike and Stephen Leadbeater were among his advocates years ago, and I recall lively discussion about Rhode and other "humdrum" writers at the Shots on the Page convention at Nottingham in the Nineties. Over the years, too, I noticed how eagerly sought after Rhode's novels are, and I started coming across collectors who not only liked Rhode, but were prepared to pay prices I found startling for some of his scarcer titles. A few years ago, I decided to give him another try, and was more impressed. Perhaps you just have to be in the right mood to enjoy Rhode -although I think much depends on which book you read. He wrote far too much, and didn't take as much care over his writing as he did over the elaborate murder methods used by his criminals. I now think, however, that if you pick the right book, you can find plenty of interest in John Rhode, while Curt Evans in particular has sung his praises to such good effect that Rhode's fan base continues to grow..
For me, much of the appeal of Hendon's First Case lies in the light it casts on developments in police work. This was actually a very topical book indeed when it first came out. The eponymous Hendon is the police college that turned out a new breed of well-educated officer, and the theme of the story is the contrasting methods and outlooks of traditional policemen, such as Rhode's Superintendent Hanslet, and younger men like Cambridge-educated Jimmy Waghorn. In this story Waghorn makes his debut; he went on to become an important series character. Rhode explains the tensions between the old style of police work and the new, and does a very good job of integrating those tensions with the narrative. The plot involves ptomaine poisoning, and there is a characteristically clever idea behind the crime at the heart of the novel. There is also extensive discussion of ciphers, although Rhode delves into too much detail here for modern reader tastes. Where the book falters is in the finale. Once the cunning scheme has been explained, Rhode (like his amateur detective Dr Priestley, who of course is even smarter than Hanslet and Waghorn put together) loses interest. The story is wrapped up in a perfunctory way, and the last few pages read as though written by a man desperate to meet a deadline (all writers know that feeling,but it's a big mistake to rush an ending.) Not a masterpiece, then, but a book that is clever, and noteworthy for the material about British policing.. I was sorry to learn of the death yesterday of Warren Clarke, who will be remembered fondly by many readers of this blog as the actor who played Andy Dalziel in the BBC TV series based on Reginald Hill's wonderful books. He was 67, and quite apart from having the distinction of being a lifelong Manchester City supporter, he was a fine (and surprisingly versatile) actor. I say 'surprisingly' versatile, because his formidable physical presence and craggy looks meant that he was a natural for 'tough' roles. But his approach was nuanced (perhaps all that suffering inflicted by City over the years had an effect), and his list of credits was impressive. He appeared in Coronation Street and that wonderful show The Avengers early in his career, and worked alongside Clint Eastwood, as well as featuring in A Clockwork Orange. His crime series credits include another show that was a favourite of mine as a teenager, Softly, Softly, and (like most other leading British actors) he turned up in Midsomer on one occasion. I first took real notice of him when he starred in Nice Work, based on a book by David Lodge, as a crusty businessman confronted by a feminist academic, played by Haydn Gwynne. This wasn't a crime show, but it was memorable, because not enough books and TV shows, in my opinion, explore working life in the business world adequately, and Nice Work was superbly done. It's nearly 20 years ago that Reg Hill invited me to the preview of the first episode of Dalziel and Pascoe, A Clubbable Woman. After the disappointment of the Hale and Pace version of his work, he was much more hopeful that a script by Alan Plater and a cast including Warren Clarke would be true to his stories. I trooped along to the RSA in London, and was really impressed. It was clear right from the outset that the series would be a success. That was the only time I encountered Warren Clarke in person, and he seemed excited by the potential of the character. From 1996 to 2007 he played Andy with gusto, making his name and Reg's. I remember that occasion vividly, and I'll remember Warren Clarke as an actor who was talented, and lucky, enough to find the perfect role and make the very best of it. Bear Island is a 1979 film based on book by Alistair MacLean that I read when it first appeared as a paperback. As a teenager, I was a huge MacLean fan, and devoured all his novels, including a couple written under the name of Ian Stuart. Although he was an action thriller writer, he often used devices familiar to whodunit fans, above all "the least likely suspect", and this is why I preferred his books to those written by other thriller writers of the time such as Desmond Bagley (though I really did like Bagley), Duncan Kyle and so on. I also watched several of the films based on MacLean's books, such as Ice Station Zebra, Where Eagles Dare, When Eight Bells Tolls and Puppet on a Chain. Some were relatively faithful to the source, whereas others (notably Ice Station Zebra) were not. The problem I began to find with MacLean was that the quality of his work began to deteriorate, and Bear Island was the last of his novels that I really enjoyed. By the time I got into student life, my reading tastes had shifted, and I didn't bother to watch the film of Bear Island. The action scenes are very well done, but the story is laboured and over-long. I wanted to see what the landscape of Bear Island really looks like, and felt cheated when I learned that the film was shot in Canada and Alaska, because the landscape there is more photogenic. All in all, this film is a decent time-passer, but not as good as, say, Where Eagles Dare. Watching it has, however, reminded me of my long ago enthusiasm for MacLean, and I'm tempted to write more about him in the future. In yet another reminder of the enduring, and seemingly eternal, appeal of Sherlock Holmes, the Museum of London is running an exhibition devoted to the great consulting detective. I was lucky enough to have an hour to spare in the capital the other day, and seized the chance to pay a visit. I'm glad I did. Like the other visitors who were there at the same time - and there were plenty of them; this is a popular show - I found much to enjoy. Plenty of rare and precious items are on display, and I tremble to think what prices they would fetch if they ever came on to the market. We have, for instance, not only Conan Doyle's initial notes about Sherrinford Holmes and Ormond Sacker (in due course, the latter became Dr Watson) but also early illustrations for their stories, most notably by the legendary Sidney Paget. It's also wonderful to see that first manuscript, with the title A Tangled Skein crossed out. Conan Doyle opted for A Study in Scarlet instead. There are numerous clips from film and TV, and I was glad to see moments from the Douglas Wilmer series that ran when I was a boy, as well as extracts featuring, among others, Basil Rathbone, Jeremy Brett and Peter Cushiing. I also loved an interview with Sir Arthur himself, filmed in 1927, just three years before he died, in which he discussed the genesis of the character, and what he was trying to do. Inevitably, the Museum of London focuses heavily on the London background to the stories, and of course this plays an important part n their appeal. We see the cover of the original Strand magazine, of course, but also depictions of fog in the city, and much more besides. Although I'm an admirer of J.M.W. Turner, I had no idea that he'd painted The Reichenbach Falls, and I was really delighted to discover this in the exhibition too. There's not much (apart from mention of Poe) discussion of Sherlock's place in the genre as a whole, or the breadth of his influence. But this is a quibble from a genre fan. It's a fun exhibition, and I can recommend it. My own enthusiasm for Sherlock has revived strongly in the past few years, and I'm contemplating writing a story featuring Professor Moriarty in the near future. I've been pleasantly surprised by the sales figures for my first original ebook, The New Mysteries of Sherlock Holmes. The knowledge that plenty of readers out there want to devour more Sherlockian mysteries is encouraging me to write more of them myself. And if I needed a further nudge, this exhibition provided it. Light from a Lantern is the first novel by Jonathan Stagge that I've featured as a Forgotten Book, or indeed read, but I've previously discussed books written by Richard Webb and Hugh Wheeler, the co-authors, who also wrote as Q. Patrick and Patrick Quentin. I've enjoyed the Patrick/Quentin books, but the Stagge titles aren't easy to come by in the UK. Luckily for me, I found a handful via a dealer's catalogue, and took the plunge. On the evidence of Light from a Lantern, I have treats in store when I get round to the other Stagges. The Stagge books feature Dr Hugh Westlake, a widower and amateur sleuth, who is accompanied by his young daughter Dawn. It's rare for young children to play a significant part in a series of traditional whodunits, but Dawn is given a major role here in pinning the guilt on the culprit,and I gather that she also has much more than a walk-on part in other Stagge stories. The setting of this novel is highly atmospheric, and a huge strength. Westlake and Dawn take a holiday in the decaying resort of Cape Talisman. I don't know the US well enough to know whether Stagge based.the location on a real life seaside village, but he certainly evokes the sinister mood of a place threatened with destruction by coastal erosion, and exposed to wild storms. One of those storms is pivotal in the final pages, with one scene in a church very distantly reminscent of that in J. Meade Falkner's The Nebuly Coat.. The story is pacy and ingenious. I thought I'd worked out a neat "least likely person" solution, but Stagge confounded me. I'm sure many whodunit fans will agree that this feeling, of being cleverly foxed, is one of the greatest pleasures of the genre. I'd go so far as to say that this book strikes me as a minor classic, and it's a shame it isn't better known, either under this title or under its original American title, The Scarlet Circle.. I'm not alone in enthusing over this author (or rather, authors). Francis Iles (aka Anthony Berkeley) rated Patrick Quentin as the best American mystery writer, but I imagine the scarcity of the books means that relatively few British fans have read Stagge in the past half-century. More recently, an array of good judges, mostly but not all from the US, have lauded his work. They include Mauro Boncampagni, who has a fine collection of books by Wheeler and Webb,Doug Greene, John Norris, Curt Evans, and Sergio Angelini. As so often, I find myself nodding my head in agreement with their views, and with their admiration for the undeservedly forgotten Jonathan Stagge. Last Passenger is a very watchable 2013 British thriller film. All the action takes place on a train, and this has prompted reviewers to venture various train movie jokes - Strangeness on a Train, and The Driver Vanishes among them. Succumbing to the same temptation, I can only add that it may not be Murder on the Tunbridge Wells Express, but at least the storyline wasn't completely Derailed. Dougray Scott plays Lewis, a widowed surgeon who is accompanied by his young son Max on a late night train journey. Lewis gets into conversation with a pretty fellow passenger, played by Kara Tointon, and she is giving him her number when he is distracted.by the realisation that the train has just whizzed past his usual stop. We already know that Something Nasty has happened to the guard, but we don't know exactly what is going on. There are only three other passengers left on the train at this point. A pleasant older woman is played by Lindsay Duncan, a stroppy young man by Iddo Goldberg and an officious businessman by David Schofield. Schofield's character is the only one who makes a concerted effort to phone for help, but none is forthcoming. This aspect of the storyline bothered me rather, and prompted me to imagine a particular plot twist that never materialised. In fact, this is a tense action film, but it's very light on plot. Some critics have seen this as a strength, and I think this is because there are plenty of movies where the twists seem highly contrived and rather irritating. Shallow as I may be, though, I do like a meaty plot,and I found the thin storyline a little disappointing. Some reviews compare this to Hitchcock's work, but I don't think it resembles the Master of Suspense's best movies very closely - it's just too thin,and the source of the suspense is too simple. I don't want to say too much about the ending, but I thought it anti-climactic. For me, though, the great strength of the film is the cast - it's really strong, and Dougray Scott, as usual, is excellent. What a fine actor he is. Writing this blog has led to many interesting and enjoyable experiences and encounters, plenty of them wholly unexpected. One example was an invitation earlier this year to contribute to a festschrift celebrating the work of the late Gilbert Adair, whom I'd never met, but about whose detective pastiches I've written on this blog. And now the Verbivoracious Press (try saying that name after a couple of drinks!) has published the festschrift. My essay is called "Gilbert's Games and the Golden Age of Murder", and it discusses Adair's last three novels, which feature Evadne Mount, in the context of Golden Age game-playing. I rather think Anthony Berkeley, for instance, might have appreciated Adair's ironic and ingenious attempts to play around with the idea of the whodunit. I haven't as yet read all the other contributions, but I was pleased to see that one essay is written by Sergio Angelini, whose blog, Tipping My Fedora, is chock-full of interest. There's some overlap, not surprisingly, between his essay and mine, but we tackle our subjects from different angles, and Sergio also covers two earlier books by Adair, one of which I haven't read. The other is A Closed Book, which I read not long after it came out. Sergio is an expert on film as well as fiction, and I learned from his essay that A Closed Book was turned into a film four years ago, and with a very good cast. It seems to have sunk without trace in box office terms, but there is a DVD, and I will be sure to seek it out, though Sergio warns that the film is very different from the book. This essay is the third I've published this year, in very different books. Morphologies, quite a high profile book edited by Ra Page, included my thoughts on Conan Doyle as a short story writer, while Mysteries Unlocked, a festschrift honouring Doug Greene and edited by Curtis Evans, is a splendid resource for those interested in reading essays about the genre; my piece focused on Anthony Berkeley's short stories. There's always a danger that invitations to write essays can distract one from the current novel, and sometimes I'm guilty of digressing when I should be focusing. But the occasional digression is, I'm sure, good for a writer, and helps to keep one's writing fresh. Gothic literature fascinates millions of people, including me. Much of it is not too far distant from some types of crime fiction, and there's a Gothic influence on some of my short stories, as well as on some aspects of one or two of my novels - including my current work-in-progress, The Dungeon House. So it was with great delight that, last week, I had an opportunity to explore the British Library's fantastic exhibition Terror and Wonder: The Gothic Imagination. The exhibits are eclectic and comprehensive, and take us all the way from Horace Walpole and The Castle of Otranto, through the Brontes, Poe, Stoker and John Buchan's Witch Wood, to modern Goth festivals at Whitby, the atmospheric Yorkshire resort that is the setting for a story I wrote last year, "The Killiing of Captain Hastiings". There are rare handwritten manuscripts (Wilkie Collins' Basil among them) and also several melodramatic paintings, by Henry Fuseli and others. The key role of landscape and setting in Gothic fiction is brought home in vivid fashion. A number of film clips - including extracts from Dead of Night and The Wicker Man, two of the finest of all horror films - can be watched, and there are some intriguing bits and pieces, including a vampire slayer's kit. Ghosts, vampires, demons and zombies abound. It was fitting that I timed my visit more or less to coincide with Hallowe'en. I recommend this exhibition unreservedly.. The British Library has also teamed up with BBC Four, which has been showing an excellent documentary by Andrew Graham Dixon, The Art of the Gothic, which concludes this evening. The programme covers art, architecture and literature and I've found the first two episodes engrossing. The same can be said of last night's Frankenstein and The Vampyre, and Dan Cruickshanks' excellent study for BBC Four of the Gilbert Scott family's influence on Gothic architecture, including Liverpool Cathedral, which I know well, and even little Stretton Church, just down the road from where I live. To this day, the Gothic influence is pervasive, and although I've been interested in the subject for a very long time, visiting the exhibition and watching the recent documentaries has given me more insight, as well as a good deal of pleasure. The centenary of the start of the First World War has prompted countless people to reflect on war, and the part it has played in our history, and the lives of people we know. I'm among them. I still have vivid memories of an uncle of mine, a popular and likeable man, and (like many members of my family) a passionate fan of our local football club, whose life was forever blighted when, having run off to join the army while under age, he was gassed while in the trenches. When I was researching for my paper at the St Hilda's crime conference, which this year took war as its theme, I was struck by the way in which war had impacted on Golden Age fiction. So far as the First World War was concerned, few detective novelists were left unscathed by it. Anthony Berkeley was gassed, and like my uncle, suffered life-long consequences. Henry Wade was haunted by the war, and you can see that in many of his excellent and under-rated mysteries. Agatha Christie was affected in a different way; the war caused her to rush into her unfortunate first marriage to Archie Christie, while he was serving in France, and it also had disatrous effects on her brother Monty. Dorothy L. Sayers' husband Mac Fleming was also profoundly damaged by his war-time experiences. And you can see in The Unpleasantness at the Bellona Club in particular that Sayers was all too well aware of the horror of war. Against that background, I thought I would join the millions who have made a pilgrimage to the Tower of London to see the extraordinary display of ceramic poppies known as Blood Swept Lands and Seas of Red. I went there yesterday - which happened to be the warmest Hallowe'en in Britain since records began. The good weather perhaps contributed to the huge crowds, and at one point the nearest Tube station had tobe closed for safety reasons. Later, I heard that people were being encouraged to come another day, such were the queues and crowds. I went on my own, and spent a while there, struggling eventually through to the barrier to get a good view of a dramatic scene. What struck me in particular was not just the magnificence of the spectacle, but the engagement of the spectators. Young and old, and of many different races and nationalities. And, I would imagine, from a very wide spectrum of society - in terms of prosperity, religion, politics and so on. The sense of communal bonding, and the collective sense of awe, was extremely powerful and also poignant. I've never experienced anything quite like it.